Albarracin, a smalll town in the hills of east-central Spain, is noted for its towering medieval walls, the Murallas de Albarracin. MANILA, Philippines — I challenged my sister Anafe, a resident of Spain for more than 40 years and a serious traveler, to recommend a town like no other as an added destination on our next family visit. She only had one name in mind, a sure standout among many others in her adopted country: Albarracin. Research on the town showed unanimous glowing reviews of this originally medieval, yet 16th to 17th century preserved pueblo. As a bonus, it belonged on several enticing lists – The Prettiest in Spain, Top Three Most Charming Towns, Top Ten Villages to Fall in Love With, etcetera. 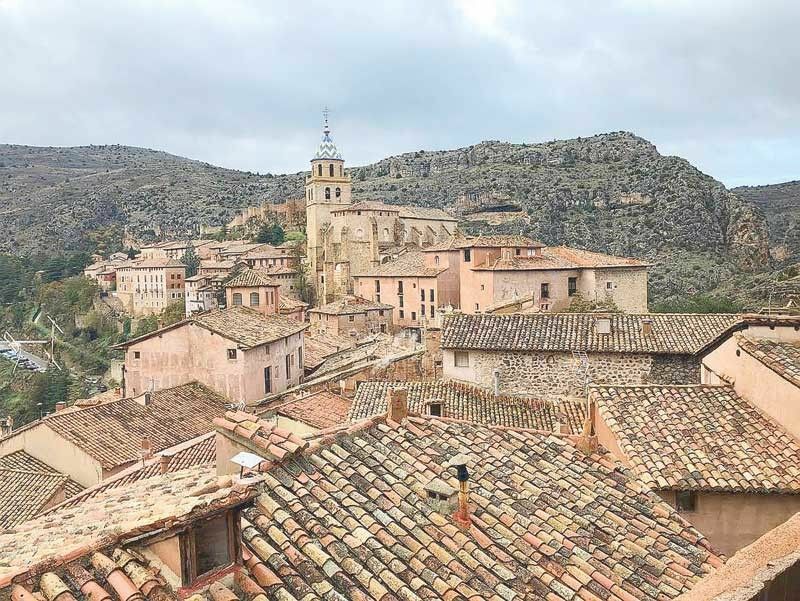 Nestled on an isolated hilltop some 4,000 feet above sea level in the province of Teruel, some two hours from the scientific and arts hub of Valencia, the jewel of the township of Albarracin has been declared as a World Heritage Site by UNESCO. 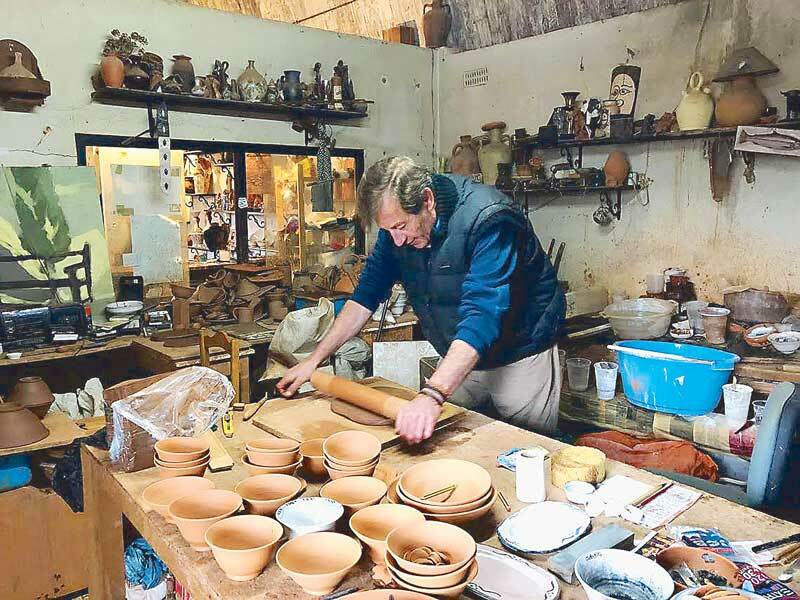 The resident artisan works at the Talyer de Ceramica. Abandoning the multi-lane freeway for the narrow two-lane country road, we approached the hamlet, where we definitely could not miss the towering ancient walls, the Murallas de Albarracin, which were the first frontier that resisted the attacks of enemy armies, all bordered by the Guadalaviar River, like a huge moat. We stayed at the Casa de Santiago – the oldest house adjacent to an even older church – which had been converted into a handful of quaint suites, with restored classical furniture and fixtures. The cozy interior design with beamed ceilings and tiled floors complimented the original architecture. The view from my room revealed a closer look of the walls, with the Torre del Andador as its crowning glory, declared as a national monument. We took a long walking tour, passionately guided by Antonio Jimenez, secretary general and managing director of Fundacion Santa Maria d Albarracin, an active organization which continues to restore and preserve its history and heritage, culture and arts. We could not have gotten a better guide, for he lived and breathed Albarracin – a true ambassador of the land. The ornate main altar and vaulted ceiling of the Catedral de Albarracin. We started off at the Calle de Portal de Molina, a sterling example of the typical street – narrow, with buildings close enough to almost touch each other. Each turn of the cobblestone pavements zigzagged, sloped up then down, from one street to another, all leading to new pleasant surprises. A stunner was the Casa Julianeta, colloquially called the crooked house, due to its slanted shape. 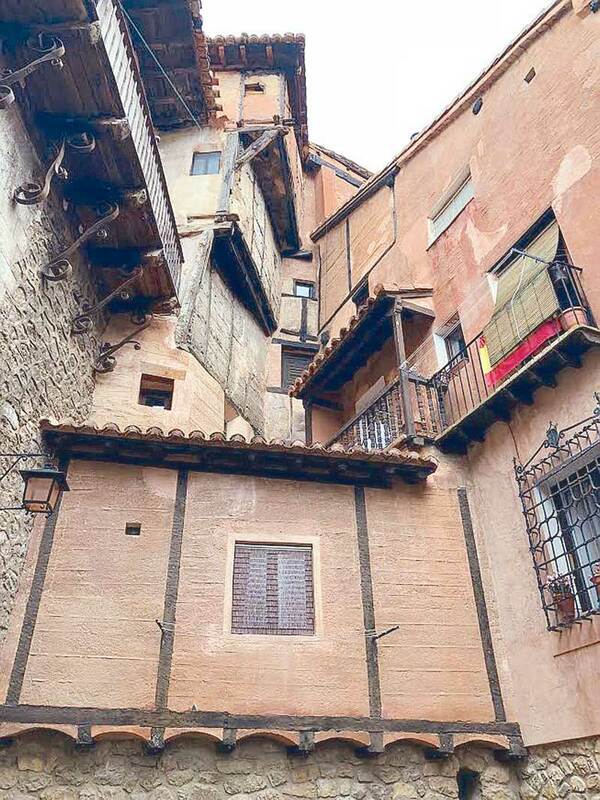 It is undoubtedly the epitome of their traditional architectural style, as it is a home made of plaster and wood, with several irregularities which made it stand out as an emblem all throughout Spain. Another crowd drawer was the Rincon del Abanico, a most curious enclave, wherein all the earthy colored, timber and sandstone four-story houses with tiled rooftops appeared to defy gravity due to its offhand construction, as some corners were joined together in obscure angles to take advantage of all the available vertical space. We rested for a while, and were soon enveloped by the peace and quiet – the deafening sound of silence – as everyone around us spoke in hush-hush tones. We wondered if this was their demonstration of respect and reverence to the place. Antonio then took us on a grand tour of a centuries-old house of prayer in distinctive classical styles, the Catedral de Albarracin. Casa Julianeta, the crooked house, is one of the town’s iconic structures. Its solitary nave and the ceiling boasted of distinctive Gothic tracery, a polygonal shape, covered with ribbed vaults hosting Renaissance sculptures of our Lord, the Blessed Virgin Mary and some of the saints. The main altar made our jaws drop, with the outstanding central altar piece completely gilded in Baroque style. 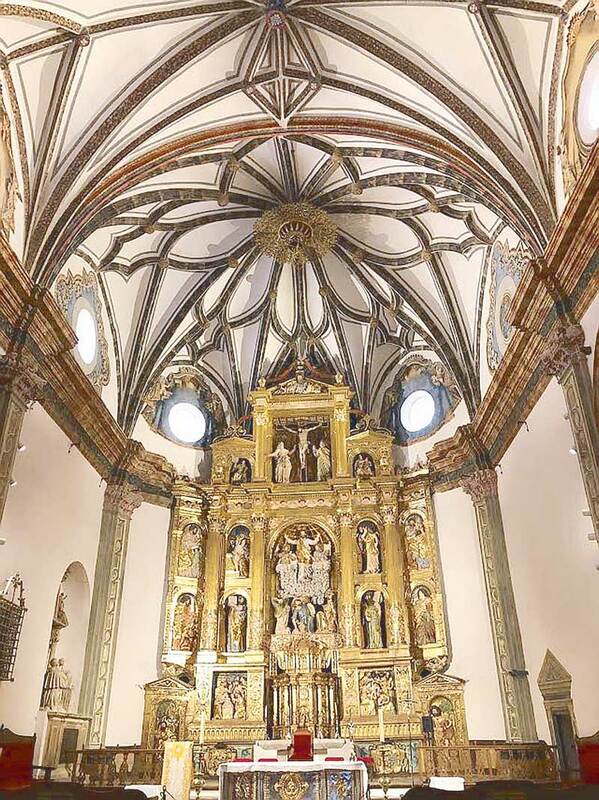 Adjacent to the cathedral, we took a detour to the 18th century Diocesan Museum, inaugurated by the Queen of Spain in 1995, situated inside the original noble rooms of the Episcopal Palace. A walk through the premises gave us glimpses of the monastic diocesan way of life. For contrast, we were astounded by the splendor of the 16th century Flemish tapestry collection, several precious paintings of old European masters and a finely-curated selection of crucifixes and other priceless ecclesiastical paraphernalia. Antonio pointed out one of the masterpieces – a fish carved in rock crystal, adorned with scales, silver mouth, golden fins, plus embellishments of pearls and rubies. The carving was so intricate that experts believed it was a collaborative effort of several talented craftsmen. In true Spanish fashion, we had a late lunch at a mom and pop restaurant called La Faba, with never-seen-before tapas for starters, followed by home-cooked courses from traditional heirloom recipes, passed on through several generations. 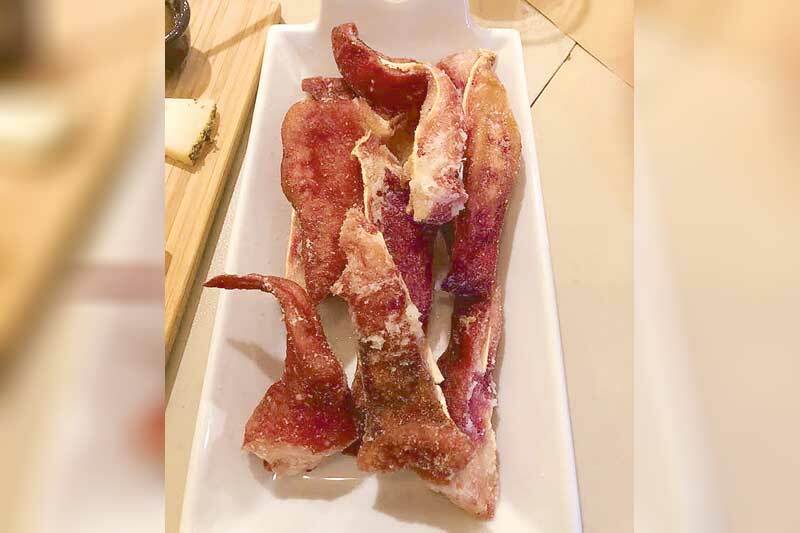 We savored for the first time their trademark specialty – fried pig ears. How can we ever forget their wheel of quezo manchego, and trays of homemade pastries! 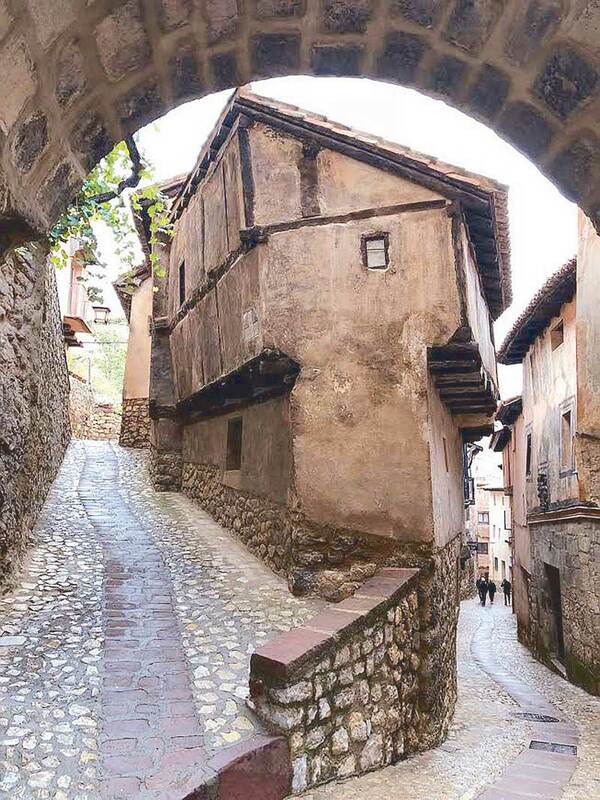 The houses of the Rincon del Abanico seem to defy gravity. Our only shopping stop was the Talyer de Ceramica, a tiny, almost-missed-it shop with can’t-live-without pottery items by a resident artisan. We ended up at the no-wires-in-sight Plaza Mayor, the town square – and the definitive hub of their subdued activity. With origins from the 13th century, the piazza has been built upon the foundations of the old wall, which featured a lower level that provides shade during the heat of the summer and protection from snow during the winter. The old town center has been declared as a national monument. For merienda, our destination was the RK Pastelleria Tradicional 1945, whose pride was their almojabanas, a flavorful bun made with cheese and corn flour. La Faba restaurant’s famous specialty, pig ears. We arrived home as darkness had set in. Once again, I opened my windows, and was greeted by the most unforgettable sight – Albarracin spread out before me, completely lighted like a Christmas village at its best, beautifully dressed up with heavenly lights. As the call for dinner was announced, I struggled, unsure of whether I should desert my spot and join the others for a meal, for I wanted to immerse myself in the sight of Albarracin by night for a little bit longer.